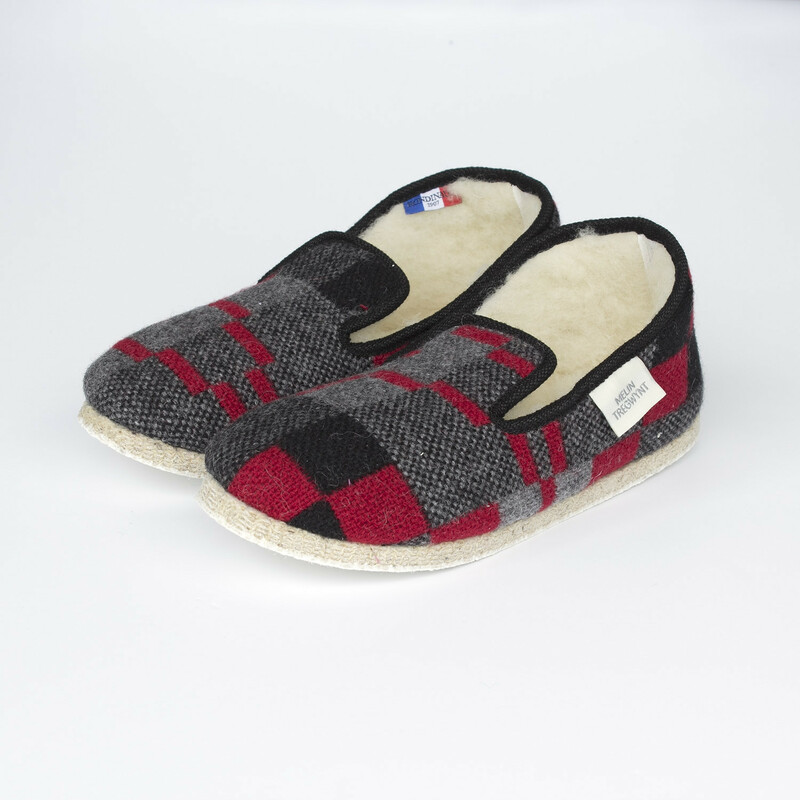 These slippers are made for us by Rondinaud, based in the heart of rural France who have been making these "Charentaises" slippers since 1907, though the tradition is over 350 years old and goes back to the reign of Louis XIV. Like us they are a traditional manufacturer and they use know-how developed in the 17th century; waste felt from the paper industry and wool offcuts from naval uniforms were in abundance then and the regional slipper industry began using felt in the soles and wool in the uppers. 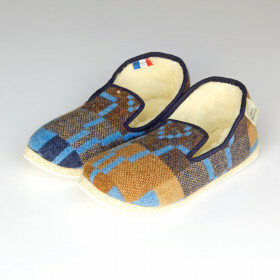 Originally designed to fit inside clogs, they are now the most iconic of slippers. Much of the slippers is still made by hand using ancient artisanal skills and we love the combination of our signature weaves with this classic design. Using a fabric with a large repeat, it creates the look of an odd pair, making each slipper and each pair unique. 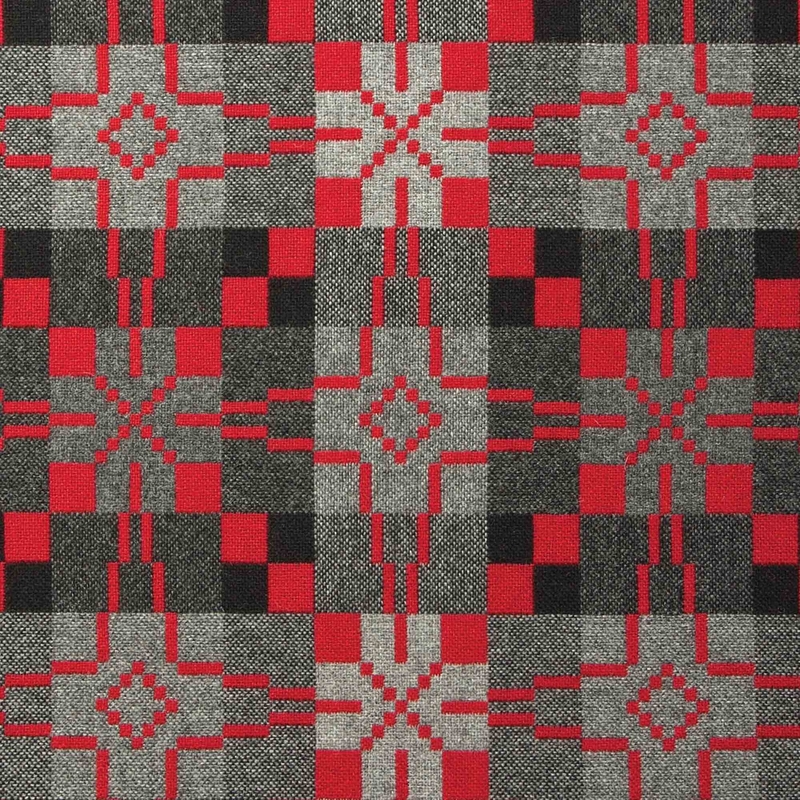 The woollen felt soles are treated so you can step outside in them and the fleece inside make them comfortable and warm. They exist in 3 colours with matching trim.